Astor Development Project t/a The Deal Business Forum (we) are committed to protecting and respecting your privacy. 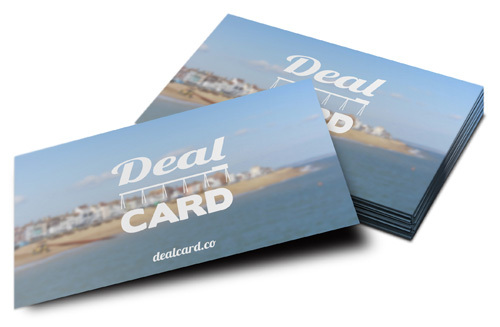 We operate this website (Website) as part of the Deal Card residents card scheme (Scheme). This policy sets out the basis on which any personal data we collect from you, or that you provide to us or, will be processed by us. Please read the following carefully to understand our views and practices regarding your personal data and how we will treat it. By visiting the Website you are accepting and consenting to the practices described in this policy. For the purpose of the Data Protection Act 1998 (the Act), the data controller is Astor Development Project t/a The Deal Business Forum a company registered in England and Wales under company number 07835392 and whose registered office at 17 Hart Street, Maidstone, Kent ME16 8RA. You may give us information about you by filling in forms on the Website or by corresponding with us by phone, e-mail or otherwise. This includes information you provide when you join the Scheme, participate in social media functions on Website, enter a competition, promotion or survey, and when you report a problem with the Website. The information you give us may include your name, address, e-mail address and phone number, and credit or debit card information. Information about your visit, including the full uniform resource locators (URL) clickstream to, through and from Website (including date and time); offers you viewed or searched for; page response times, download errors, length of visits to certain pages, page interaction information (such as scrolling, clicks, and mouse-overs), and methods used to browse away from the page and any phone number or email address used to contact us. We work with analytics providers and search information providers and may receive information about you from them. to make suggestions and recommendations to you and other users of Website about goods or services that may interest you or them. We may provide the Scheme’s suppliers with aggregate information about our users (for example, we may inform them that 500 men aged under 30 have clicked on their offer on any given day). We may also use such aggregate information to help the Scheme’s suppliers reach the kind of audience they want to target (for example, women in CT14). We may make use of the personal data we have collected from you to enable us to comply with the wishes of the Scheme's suppliers by displaying their offers to that target audience. We do not disclose information about identifiable individuals to the Scheme's suppliers and we will not sell your details to third parties for marketing purposes. We may disclose your personal information to third parties: 1. In the event that we sell or buy any business or assets, in which case we may disclose your personal data to the prospective seller or buyer of such business or assets. 2. If we are under a duty to disclose or share your personal data in order to comply with any legal obligation, or in order to enforce any contract with you. Your rights You have the right to ask us not to process your personal data for marketing purposes. We will usually inform you (before collecting your data) if we intend to use your data for such purposes. You can exercise the right at any time by contacting us at info@dealcard.co. The Website contains links to and from the websites of the Scheme’s suppliers and, from time may, contain links to and from the websites of other third parties. If you follow a link to any of these websites, please note that these websites have their own privacy policies and that we do not accept any responsibility or liability for these policies. Please check these policies before you submit any personal data to these websites.